By comparison, Bedford opened 2 new restaurants in 2010 and none in 2011. With the Bedford Travelodge closing soon, this might make a good location for a new restaurant in Bedford. What type of restaurant would you like to see? Quick update on the Bedford Travelodge. According to The Great Road Shopping Center, the lease for the Bedford Travelodge is ending shortly and will not be renewed. Travelodge is expected to vacate the building by January. 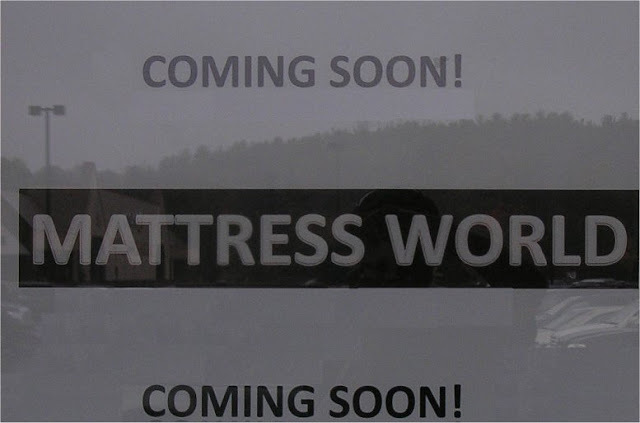 The Shopping Center is currently looking for a new tenant. 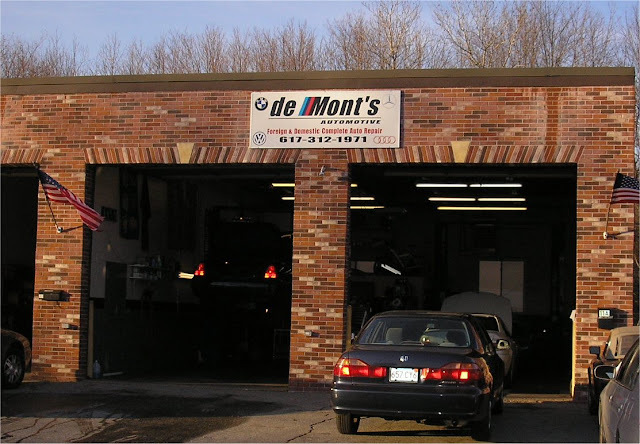 The existing structure is expected to be demolished in stages in 2012.
deMont's Garage on Railroad Avenue. 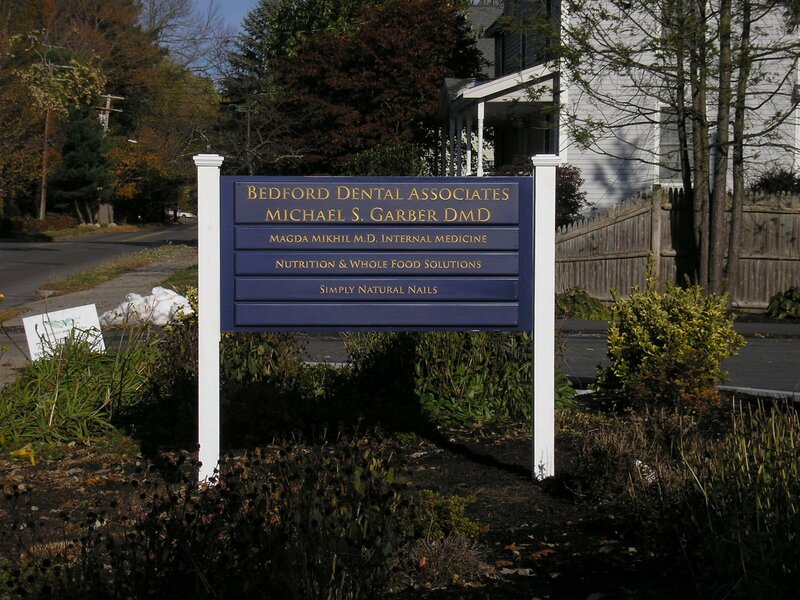 New Sign for 50 Loomis Street. Simply Natural Nails opened earlier this year. 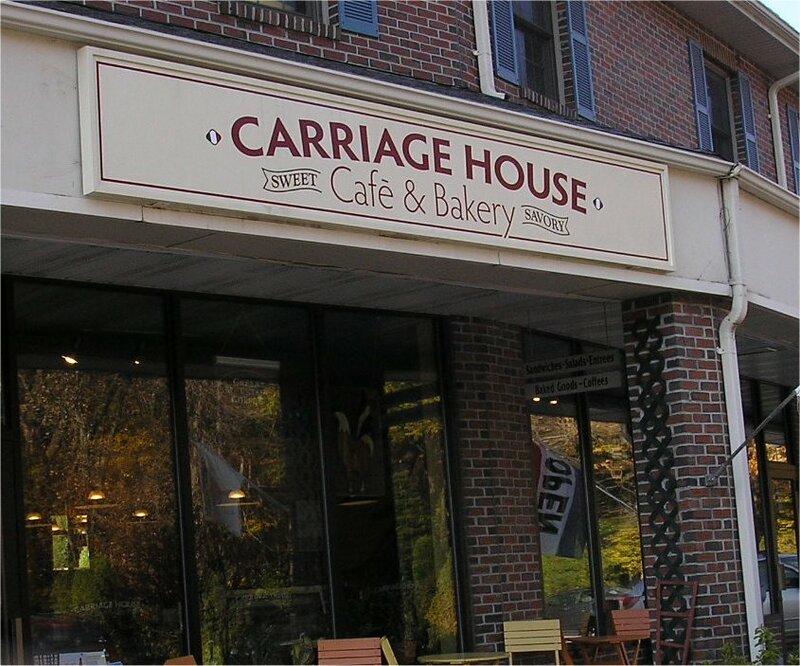 Carriage House Cafe became Carriage House Cafe & Bakery after new owners took over in July. 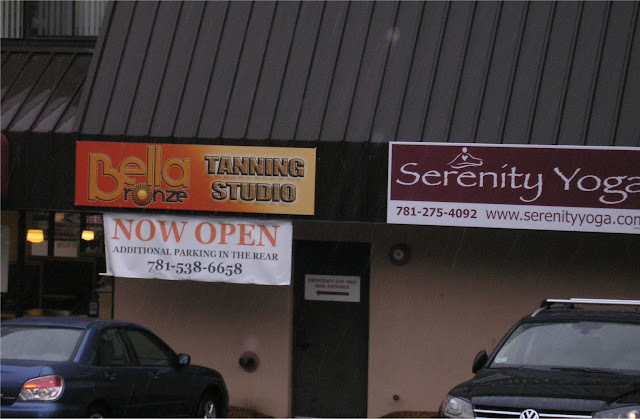 Serenity Yoga moved to 363 Great Road in April and Bella Bronze Tanning Opened next door in September. 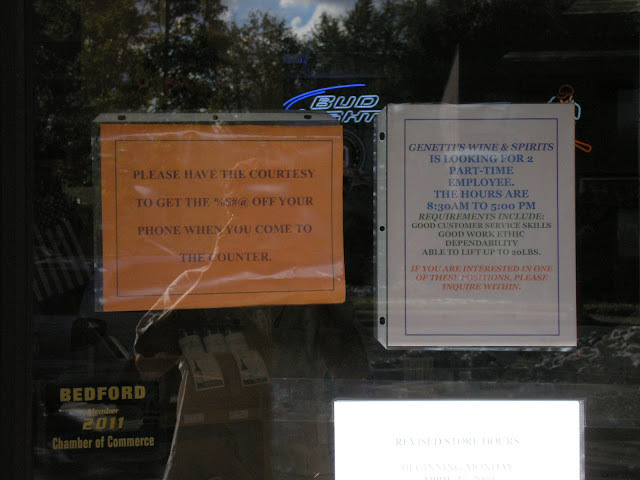 A new sign at Genetti's Wine & Spirits reminds customers to stay off their mobile phone at the counter. Some interesting news about the Travelodge Motel at 285 Great Road. According to Loopnet, The Travelodge location is available for rent starting in January 2012. The property is owned by Great Road Shopping Center LLC. There is also a public legal notice stating that The Great Road Shopping Center, LLC (owner of the property) intends to demolish the existing structure and construct a new building. The Traveledge website still appears to be accepting reservations for the Bedford Travelodge through at least October of 2012.